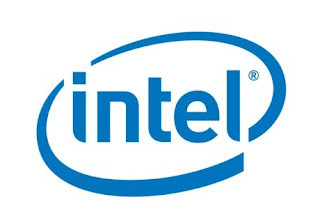 More and more details and specification leaks these days about the next Intel 22nm processors code named Ivy Bridge which will be released on 1H 2012 . So what is the big news from intel now is that the Ivy Bridge Processors will be H67/P67 compatible , so Intel here is doing an interesting move after the storming SATA 2 bug on its H67/P67 SATA controller and the recall bug . Now if you have H67/P67 what you need to do to make your motherboard Ivy Bridge compatible is a BIOS update which will be available on April , and that's it you are on the 22nm technology world , Intel also said that the Q65, Q67 and B65 chipsets, won't support Ivy Bridge. More specifications leaked about the Ivy Bridge CPUs ,noting that the memory controller on Ivy Bridge can support two channel DDR3 up to 1600Mhz, so it can support up to four memory slots , Ivy Bridge CPUs TDP is 35W, 45W, 65W and 95W and support the Turbo Boost technology 2.0 the same as sandy bridge , the new is the next generation Quick Sync video technology and the DirectX 11 support thanks to the next generation of Intel HD graphics.